Director for Papua New Guinea National Research Institute (PNG NRI) Dr. Charles Yala in his address to the Association of Surveyors during the 50th Annual Survey Congress highlighted the importance of private business that can play an important role in Mobilizing PNG’s customary land for development which can benefit the landowners and state investors. 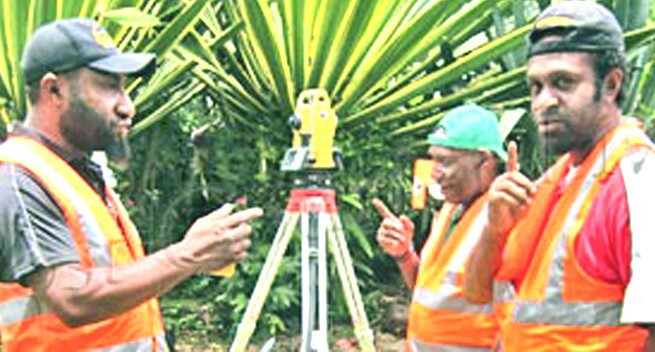 According to Dr. Yala it is the first time PNG has a legal and administrative system to facilitate the mobilization of land under customary land tenure for development through voluntary Customary Land Registration (VCLR) process. He adds, the recently created Gazette office of Customary Land Development will manage the VCLR. “The land surveyors will have an important role to play in the development of customary land, first through the facilitation of the registration of ILGs then the subsequent registration of customary land development, and finally the preparation of survey plans for actual development. My personal appeal to the profession is to facilitate and not frustrate the process. You will lose credibility and business if you frustrate the process,” Yala said. Yala added that the more they streamline the process, the more jobs and businesses they create for the surveying profession. “As more ILGs are registered, more customary land will be registered which will translate into more businesses and jobs for surveyors,” said Yala. He added, with the view to assisting in facilitating the development for customary land, I suggest that we have a critical review of the Survey Act and Survey Regulation Act as part of a wider Land and related laws and administration systems review. “Very soon, we will release a report that compares the old ACT system, the changes that have taken place within the ACT system and the systems we still have from the colonial legacy within our system. This is aimed at highlighting the need to have a holistic review and updating of the whole system,” he added. The VCLR system empowers customary landowners in this country to drive development on their own land, thereby creating job and business opportunities for themselves and the nation as a whole. It is creating new and exciting business and job opportunities for the survey profession.